Q: I want to save the settings in the scanning dialog. 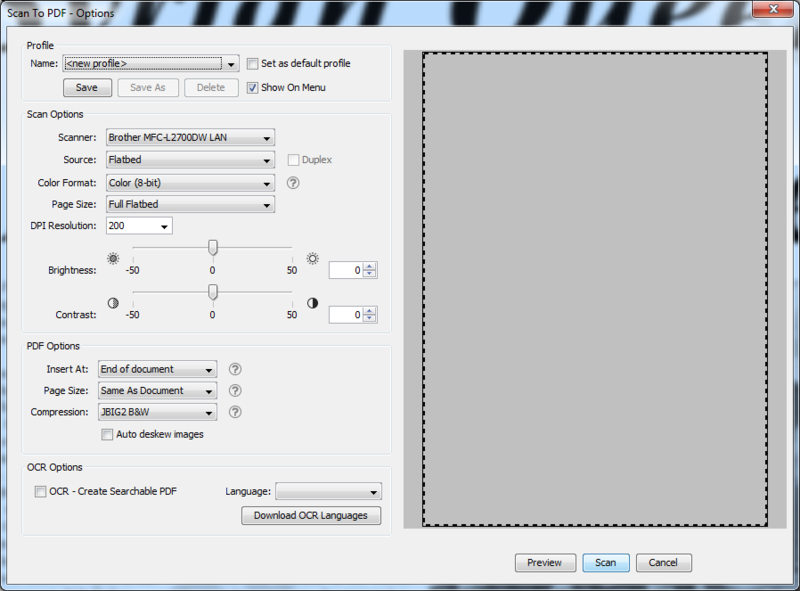 Does PDF Studio come with scanning profiles? 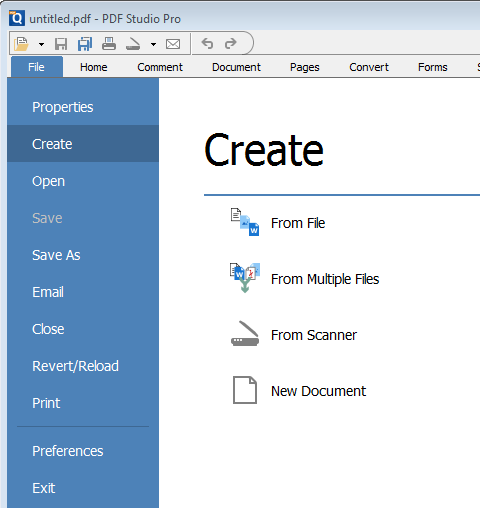 A: Starting in PDF Studio 12 (Windows and MAC), you can create scanning profiles in the scanning dialog. Scanning profiles will allow you to save scanning settings to access quickly or start a scan with the desired settings directly from the menu without showing the dialog. To save a scanning profile, first set all the settings that you wish to use and then click the Save button to create the new profile. Note: Check “set as default profile” to set the scanning profile as a default profile. By default, the profile is set to “[scanner name] + [color format] + [dpi setting]“. If needed, you can edit the name.